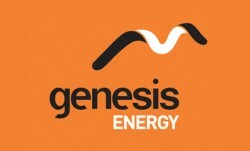 Today 12:00pm - Ten years ago, Genesis Energy was moving into the carbon market. Tuesday - Ten years ago, online trading platform Trade Me was making a foray into selling carbon credits. 18 Apr 19 - Ten years ago, the forestry sector was warning of a carbon deficit blow-out after 2018 as trees planted in the early 1980s are harvested. 17 Apr 19 - Ten years ago, uncertainty over the Emissions Trading Scheme was expected to keep carbon prices volatile. 16 Apr 19 - Ten years ago, forest owners were receiving their first carbon credits and were figuring out what to do next. 15 Apr 19 - Ten years ago, the Green Party released its Green New Deal plan, offering at least 42,000 new jobs and a proposal to tackle economic, climate and environmental problems in one go. 9 Apr 19 - Ten years ago, infrastructure company Vector was telling Parliament that cross-party support was the most important thing that could come out of a review of the Emissions Trading Scheme. 8 Apr 19 - Ten years ago, businesses in New Zealand were backing the idea of cross-party support for the Emissions Trading Scheme. 5 Apr 19 - Ten years ago, a Welsh company was proposing garlic as a way to reduce methane emissions from ruminant animals. 4 Apr 19 - Ten years ago, New Zealand was being advised to forget agriculture and concentrate on its wasteful transport system to get emissions down. 3 Apr 19 - Ten years ago, the Government was getting ready to hand out its first New Zealand Units. 2 Apr 19 - Ten years ago, Peter Dunne was predicting the Labour and National Parties would reach agreement over the Emissions Trading Scheme. 1 Apr 19 - Ten years ago, the government was being advised not to put a cap on the price of carbon. 29 Mar 19 - Ten years ago, the government was looking at excluding methane emissions from the Emissions Trading Scheme. 28 Mar 19 - Ten years ago, insurance companies were trying to figure out how to insure carbon lost when forests are destroyed. 27 Mar 19 - Ten years ago, Labour and the Greens were offering the National Government a cross-party deal on the Emissions Trading Scheme.